Short, sweet, daring and honest, Swan Dive exposes everyones dissatisfaction with that face in the mirror! 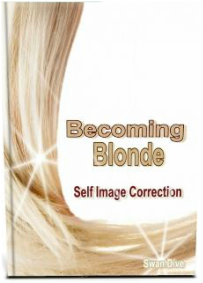 Taking every step to correct that image to something more preferred and with as little pain and cost as possible, BECOMING BLONDE strikes a chord in all of us. Finishing up with how to deal with naysayers, how to decide what YOU look like and how to dress it all up, Swan delivers a needed perspective on our "Hollywood Styled" livestyles and yearnings.